Leonardo Bruni (1370–1444) is widely recognized as the most important humanist historian of the early Renaissance. But why this recognition came about—and what it has meant for the field of historiography—has long been a matter of confusion and controversy. 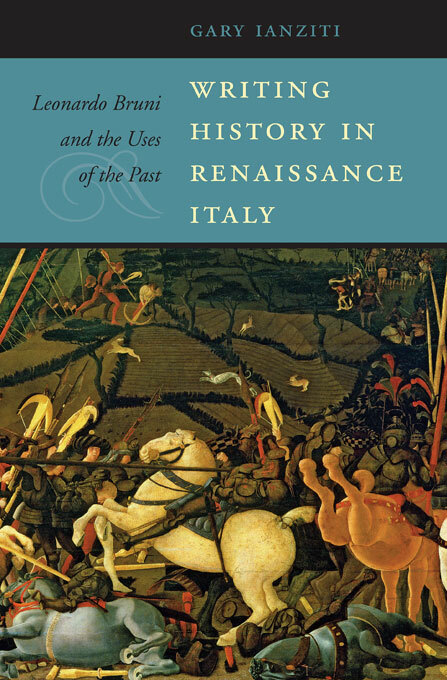 Writing History in Renaissance Italy offers a fresh approach to the subject by undertaking a systematic, work-by-work investigation that encompasses for the first time the full range of Bruni’s output in history and biography. The study is the first to assess in detail the impact of the classical Greek historians on the development of humanist methods of historical writing. It highlights in particular the importance of Thucydides and Polybius—authors Bruni was among the first in the West to read, and whose analytical approach to politics led him in new directions. Yet the revolution in history that unfolds across the four decades covered in this study is no mere revival of classical models: Gary Ianziti constantly monitors Bruni’s position within the shifting hierarchies of power in Florence, drawing connections between his various historical works and the political uses they were meant to serve. The result is a clearer picture of what Bruni hoped to achieve, and a more precise analysis of the dynamics driving his new approach to the past. Bruni himself emerges as a protagonist of the first order, a figure whose location at the center of power was a decisive factor shaping his innovations in historical writing.